When I was working at my old accounting job, I would occasionally have a snack between meals. Since working at home, I snack a ton more. Like all day long. Don’t judge! I work in the living room with my laptop and the kitchen is directly in front of me. Out of sight, out of mind doesn’t apply so I’m always thinking food. Plus, I blog a lot about food so it’s pretty much always on the forefront of my mind. I’ve gotten pretty good at eating and typing at the same time. I think it’s important to make mindful snacking choices. I prefer healthy most of the time with treats mixed in here and there. My latest obsession is RYVITA Wholegrain Rye Crispbreads. When I’m rushed, I’ll grab one to snack on by itself. Most of the time, I add toppings depending on what I’m craving that day. RYVITA has been using the same base recipe for their crispbreads since the 1930’s. Why change something that is perfect the way it is? They only use simple, natural ingredients and are an excellent source of fibre. Plus, this is the type of snack you can have fun with and let out your inner chef. 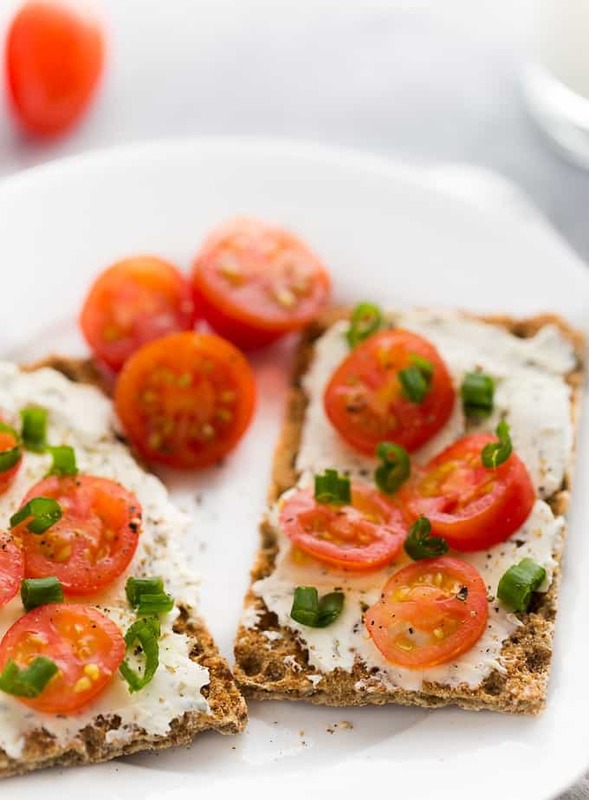 Be creative with toppings – think of the RYVITA Crispbread as your canvas. Take a peek at some of the different ways I’ve been enjoying my RYVITA Crispbreads. 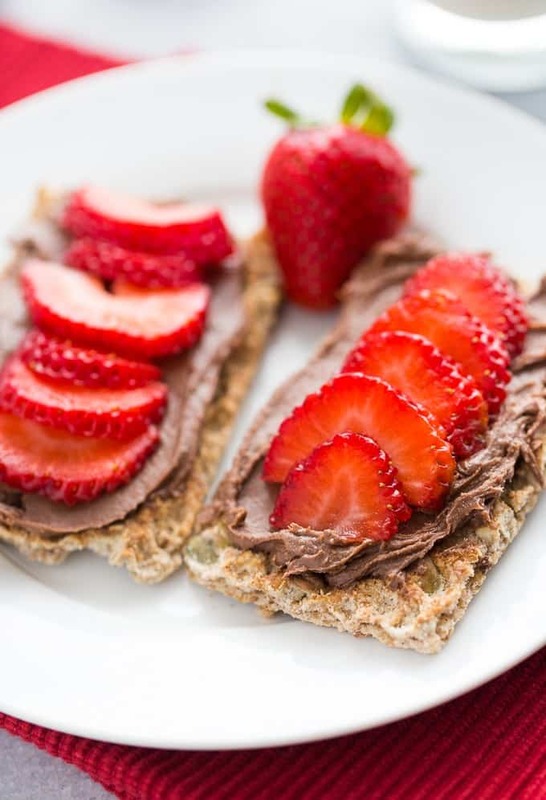 RYVITA Muesli Crunch topped with chocolate peanut butter spread and fresh sliced strawberries. Snack or dessert? You decide. 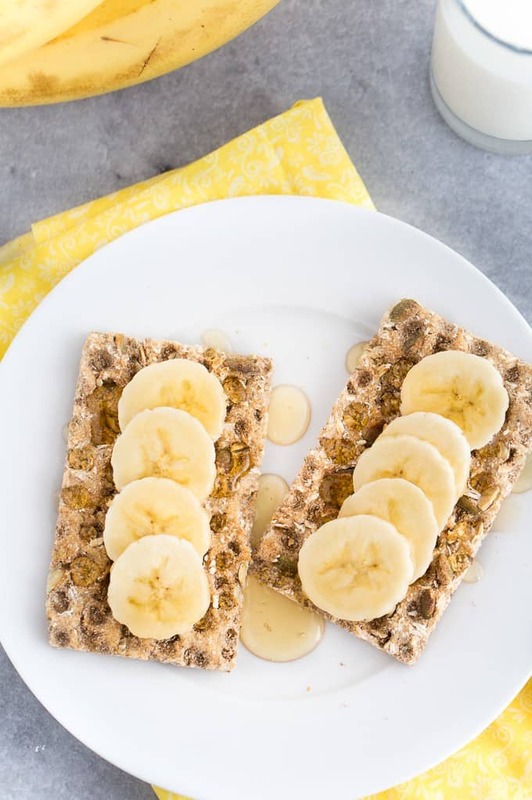 How about starting your day with a simple, nutritious breakfast of RYVITA Pumpkin Seed & Oats topped with sliced bananas and a drizzle of honey? Pair it up with a glass of cold milk or a freshly brewed cup of coffee. 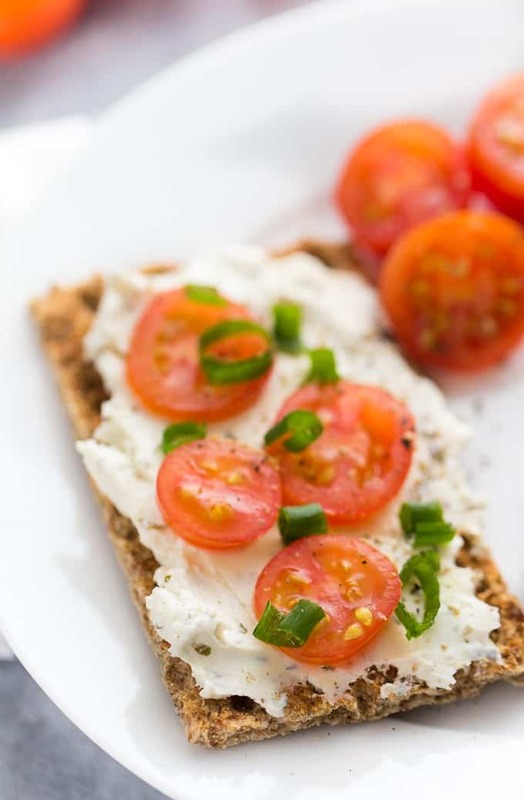 For a savoury midday snack, try RYVITA Mediterranean Herb topped with herb and garlic cream cheese, sliced cherry tomatoes, green onions and freshly cracked black pepper. So easy and yummy! Sometimes, I’ll make a plate of them for lunch. It’s a bit like an open faced tomato sandwich. If these snack ideas aren’t enough to pique your interest, this special promotion might do the trick. RYVITA currently has its You Switch, We Share promotion going on right now. Look for the tearpad coupons at your local grocery store and grab one. Buy 2 RYVITA products, get $2 off your purchase and RYVITA will make a donation to a local Daily Bread Food Bank on your behalf. It’s a win-win! The tearpads are only in stores for a limited time only so don’t delay. Check out the full line up of RYVITA products and more delicious recipes. 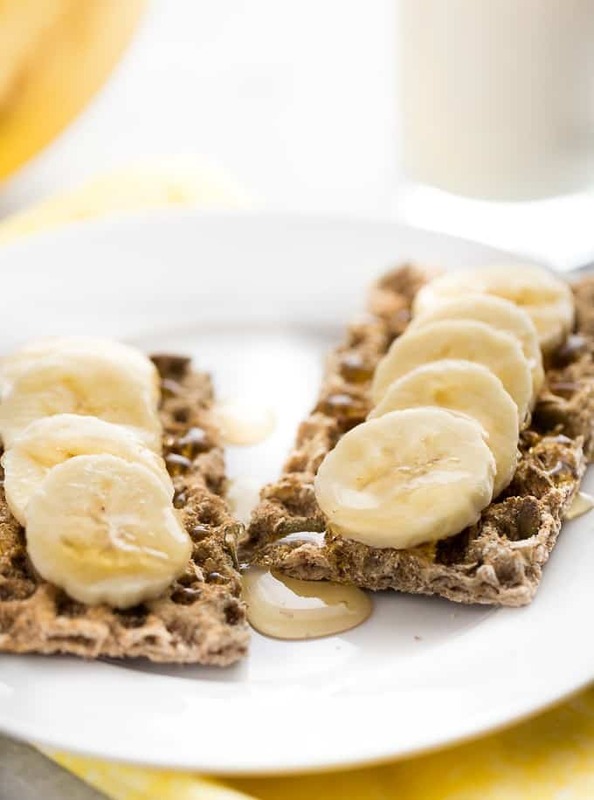 What toppings do you like to put on your RYVITA Crispbreads? 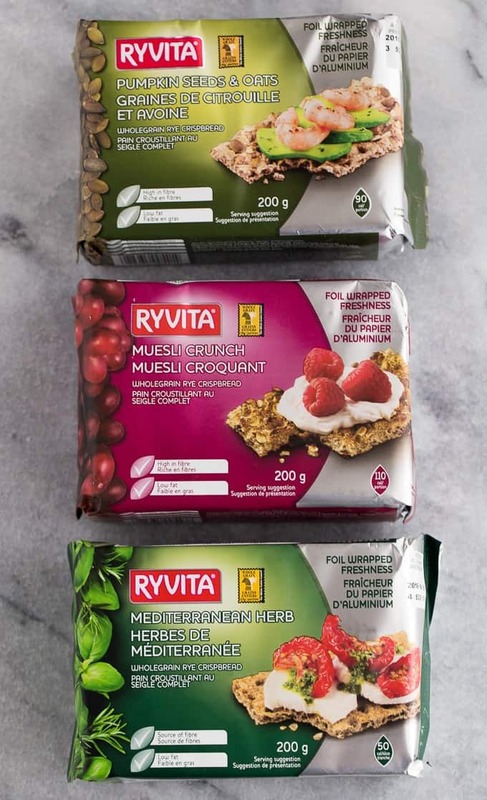 Connect with RYVITA Canada on Facebook and Pinterest. Never tried these cracker but they look & sound good. Will have to pick some up to try! mmm pumpkin seed and oat sounds yummy! These look delicious!! I love how you added fresh fruit and all to the topping of these, yum!! I used to eat Ryvita years ago, just with butter and cheese on top. Loved it. I like the sound of the RYVITA Mediterranean Herb best, that sounds delicious. I love snacking on these too, my favourite and the ones I buy all the time are the sesame ones, they are perfect for my tuna and salmon!! I have not heard of this before now but it looks good to me. And it looks like something I would grab on the way out the door to eat by itself when I haven’t eaten and have not allowed time to stop anywhere along and eat. I will be looking for these my next shopping trip. I used to use Ryvita as a quick power snack with of course Peanut butter…got away from them but you’ve peaked my interest again with all the variety they have now. cream cheese and peanut butter. When I was in Sweden we used to buy red caviar in tubes so it was cream cheese and this, it was so good!! Haven’t tried Ryvita but it looks good with these combos. I bought Ryvita just for me years ago, as they were not everyone’s fave at our house. I must go look for these new taste sensations; they look both delicious and healthy, which is a nice combination. I’d probably do the old peanut butter and banana combo, first off. I have a pack in the kitchen – never knew what to do with them. Thanks for those great ideas. 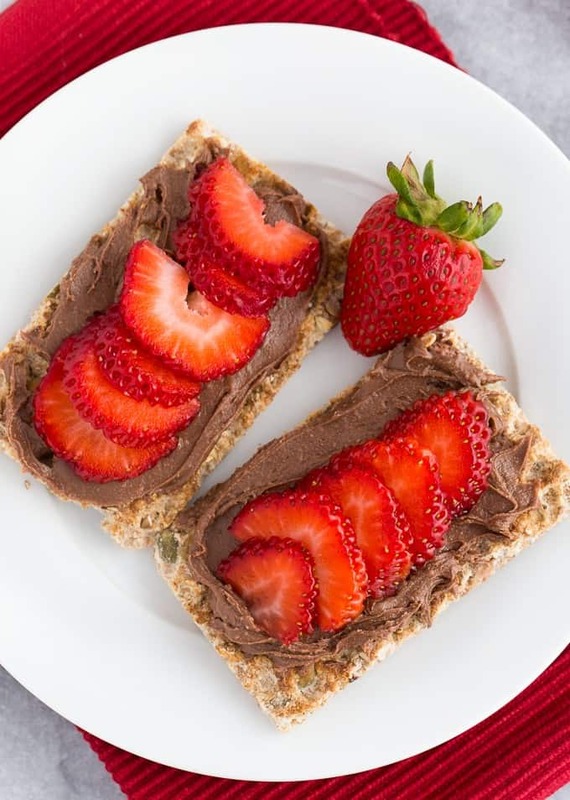 could totally go for some of the chocolate peanut butter spread and fresh sliced strawberries Ryvita snacks! I have seen these crisp breads before but never tried them. After seeing your recipes for them I will give them a try. My husband loves the regular ryvita but I can’t wait to try these new ones!